The Maxxum 7000 was a rather advanced film camera for its time, introduced in 1986. Functions are essentially fully automated. It also offers several modes, such as Program, Aperture Priority, Shutter Priority, and Metered Manual. Body is switchable between Auto Focus and Manual Focus. My good friend in Oregon recently sent me a nice clean body. It seemed so slick in its operation it begged for a trial run. I acquired a Minolta autofocus kit lens, 35-80mm zoom, and a T-Mount adapter from online auctions, and I was ready to go. The 300mm T-Mount lens also came from my friend. I already had the Sears 135mm T Mount lens in my collection. Both long lenses rely on manual focus and aperture-priority exposure with the "preset" system of aperture selection. Friday was a beautiful crisp and cool day, and I took the works to the Missouri Botanical Gardens in St. Louis, along with a couple of rolls of Walgreens ASA 200 print film. 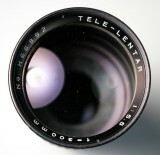 The Minolta zoom lens may not be the sharpest of lenses, but performed adequately for most purposes. I also tested the two long T-Mount lenses, and they did fine, considering that I shot them hand-held without tripod. The colors are so beautiful. They look like oil paintings. What great shots! Some great pix, love the Japanese-style garden especially. My dad had a Maxxum, took a lot of great pix with it. I really enjoyed viewing these pictures!!! There are so many beautiful patterns of shapes, both natural and man made and so many amazing shadows that bring out details, that the eye lingers on each picture. Thank you Ed!! !